Planet Botanicals introduces their new anti-aging Maine Seaweed Skincare line with anti-aging, hydrating and skin-soothing benefits. “Seaweed has been used for thousands of years as a food and medicine and the amazing benefits for the skin are now being discovered,” says Michele Gilfoil, the founder and CEO of Planet Botanicals, a luxurious natural skincare and artisan-made skincare company based in Maine. Planet Botanicals introduces their new anti-aging Maine Seaweed Skincare line with anti-aging, hydrating and skin-soothing benefits. “Seaweed has been used for thousands of years as a food and medicine and the amazing benefits for the skin are now being discovered” says Michele Gilfoil, the founder and CEO of Planet Botanicals, a luxurious natural skincare and artisan-made skincare company based in Maine. Seaweed contains over 50 natural minerals and vitamins plus natural factors that enhance hyaluronic acid which is known to stimulate collagen production and help the skin retain its moisture content. Hyaluronic acid increases the moisture retention and elasticity of the skin resulting in a softer, smoother and younger radiant appearance and feeling. "Seaweed is an ideal ingredient for skincare as it has anti- inflammatory, hydrating and anti-aging properties" says Michele. Fresh Maine seaweed has an abundance of fucoidans which have powerful polyphenol anti-oxidant, anti-aging and anti-inflammatory effects. Seaweed also contains a multitude of sea minerals, vitamins, amino acids, and trace elements which are known to soothe, nourish and hydrate the skin. 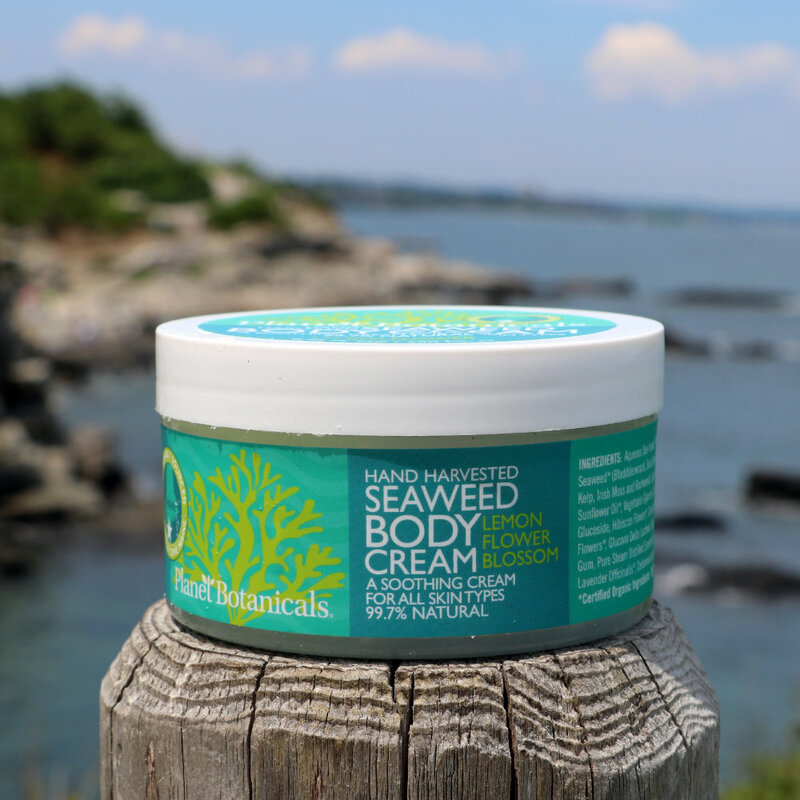 Planet Botanical’s seaweed is sustainably and hand-harvested from the pristine ocean waters of Maine. After the seaweed is collected, it is dried in the sun. Then, Michele with her local artisans, prepare the seaweed for her skincare products with a propriety method to extract the beneficial sea vitamins and minerals. She uses a proprietary blend of five Maine seaweeds that she refers to as “SeaFusionTM” which consists of Bladdderwrack, Sea Lettuce, Sugar Kelp, Irish Moss and Rockweed. 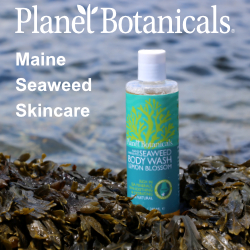 Planet Botanicals Maine Seaweed line includes a luxurious body wash, handmade artisan soaps, and a bestselling seaweed body cream referred to as our “Seaweed Dream Cream”. With the success of their body care line, Planet Botanicals is developing a new anti-aging seaweed face care line for release this Fall. The Maine Seaweed Collection can be found at https://www.planetbotanicals.com/collections/seaweed-collection. Michele grew up in South Portland, Maine next to the ocean and was inspired by the incredible benefits and pure quality of Maine Seaweed. “Maine has a particularly high quality seaweed because it is harvested off the pristine waters along the coast of Maine”, Michele said. She works with local organic seaweed harvesters who hand-harvest the seaweed in a sustainable way to protect its ecosystem. About Planet Botanicals: Planet Botanicals works directly with sustainable growers and producers around the world to source its fresh effective ingredients for their skincare products and does so in an ethical way that supports a sustainable environment and organic production. Their artisan ingredients suppliers geographically range widely form women’s shea butter cooperatives in Africa, and Maine seaweed harvesters who work along the coast of Maine. All of Planet Botanicals products are natural and made with the highest quality organic ingredients and pure essential oils. To learn more about Planet Botanicals natural, healthy, and effective skincare products, visit https://www.planetbotanicals.com.